Securely mount a monitor, mic, or other component on your gimbal with the versatile SHAPE Gimbal Accessory Clamp. The clamp is compatible with gimbal rods or any component with a 25mm rod diameter. Accessory mounting options include a cold shoe mount, a captive 1/4"-20 screw, and 1/4"-20 and 3/8"-16 anti-twist threads. 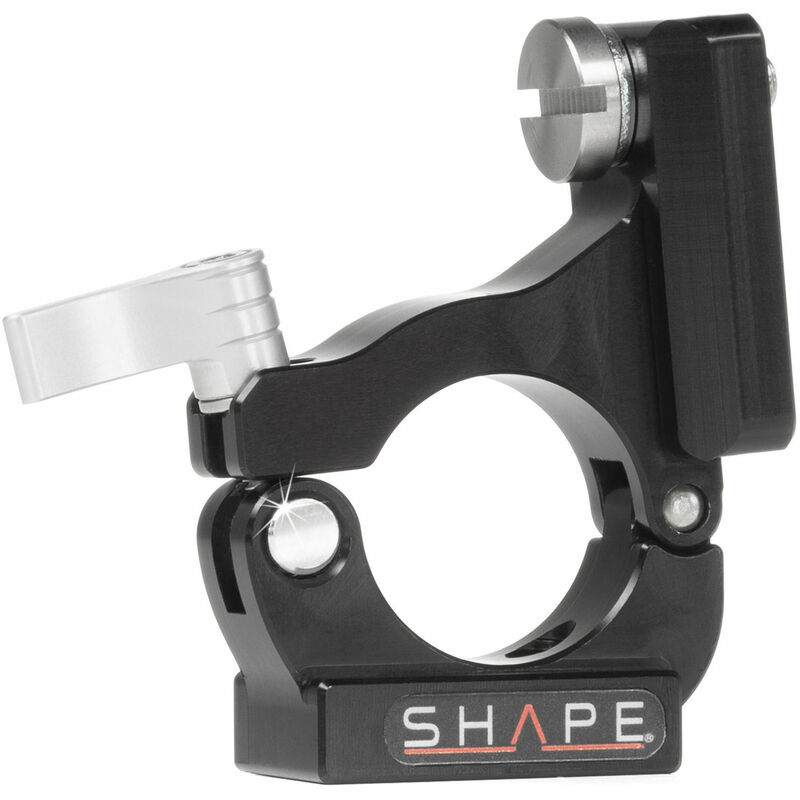 The SHAPE Accessory Clamp features a thumb-lever for a secure mount and a lightweight aluminum build. Box Dimensions (LxWxH) 4.8 x 3.45 x 3.4"